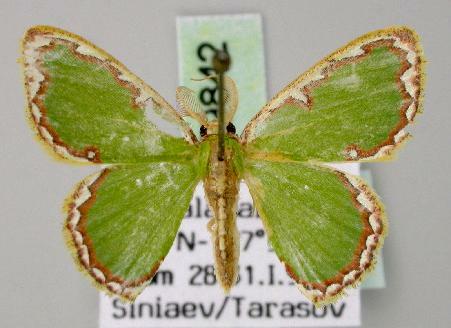 The adult moths of this species are green with a brown-outlined white irregular border to each wing. The wingspan is about 2.5 cms. 1888, p. 577, No. 36.